Many of the frats/sororities are between: Gregory - 1st Street - Wright - Green. Housing tends to be pricey in this region due to proximity to class and bars. North of Green: Cheap, cheap, cheap. Lots of UG engineers and international students in this part of town. The places aren’t the nicest, but they are on bus routes and the closest to County Market (the most convenient campus grocery store). Don’t go any further north than University Ave.
North of Florida, East of Lincoln, West of Vine, and South of University (the “state streets”….Illinois, Pennsylvania, etc.) is often on the more expensive side, but it is a very quiet, nice area. In general, Urbana is thought of as the more liberal, bike friendly, farmer’s market part of town. And it is. Hardwood floors, radiator heat, plenty of trees. North of University is still not good. East of Vine can get sort of far away and sketchy at times. South of Florida is much more non-student residential. I wouldn’t expect to find much here, but it’s generally a nice area so long as you stay west of Philo road. This is where The Village is, and I've been told a lot of law students live there. Driving distance or a long bus ride. Cheap, quiet, and far away from everything. While that might not sound like a ringing endorsement, there are really some nice places in Savoy for a reasonable price. If you don’t mind the commute, it is worth looking into. Last edited by carasrook on Mon Jun 05, 2017 3:10 pm, edited 1 time in total. Thanks for making this! Sent in my deposit yesterday. Thanks for making this! I just wanted to check in myself. I am about 90% sure I'll be attending! Checking in. I'm not entirely sure I'll be attending, but I'm visiting April 6th. I visited in February but can't make it to ASD, so please let me know how it goes/what you learn! I attended undergrad here, let me know if you've got any questions about the campus! Also considering coming here, excited for the 31st. Deposit sent, definitely attending. Registered for ASD. lmkb2020 wrote: Deposit sent, definitely attending. Registered for ASD. More than likely will be sending in my deposit next week, barring a sudden development. Where's everyone looking for housing? DaOneandOnly wrote: Where's everyone looking for housing? I found a really nice building in Urbana that is letting me have both of my cats in the apartment. If you're driving: what's the parking and traffic situation supposed to be like? pinkpanda - mind PMing me what you found? as for the driving situation - there's a lot across the street from the law school with a waiting list for students (and costs $660/year), but there are also metered spots. does anyone know if there are other student lots in the area that are within a realistic walking distance? the bus system seems to be pretty comprehensive as well for such a small town. How does everyone feel about living in houses converted to private apartments? I've never had this experience, and I have no idea what to expect, but there are some cute places with good deals on Craigslist. Just thought I'd see what the consensus was. As long as the visit this weekend doesn't raise any major red flags, I'll be here in the fall! shotgunheist wrote: As long as the visit this weekend doesn't raise any major red flags, I'll be here in the fall! carasrook wrote: How does everyone feel about living in houses converted to private apartments? I'm going to ASD this Friday. What are you all wearing? I'll probably go with a dress shirt and a pair of jeans. Really enjoyed ASD, I'm pretty sure I'm going. Y'all go? I was at ASD as well. I wasn't really impressed at the campus but the faculties (especially the Career Service team) gave me a reason to consider UIUC very seriously. I could easily tell that the professors, faculty, and Dean Amar are top-notch. But I dont know if it's just me but Downtown Champaign didn't seem all that vibrant. I stayed in Champaign from Thursday to Sunday morning and visited the downtown at least once each day, other than for the ASD night-out, Champaign Downtown looked like ghost-town (I stopped there for a drink on Saturday night from 9PM-Midnight and maybe saw like 5 people out in the street. Campustown was a little more alive but I heard it's mostly for undergrads anyway so I doubt I'll spend much time there anyway. CPAlawHopefu wrote: I was at ASD as well. I wasn't really impressed at the campus but the faculties (especially the Career Service team) gave me a reason to consider UIUC very seriously. I could easily tell that the professors, faculty, and Dean Amar are top-notch. That's a bummer. Did you get any other general vibes from staying there for a weekend? Other impressions? Attended the ASD and visited Chicago prior to which in tandem has led me to just about pull the trigger on UIUC. The atmosphere of UIUC and Downtown was pretty much what I was hoping for. Tried several of the restaurants and bars and enjoyed my experience. The downtown bar hop event was a nice touch, showing the stress-busting side of town. 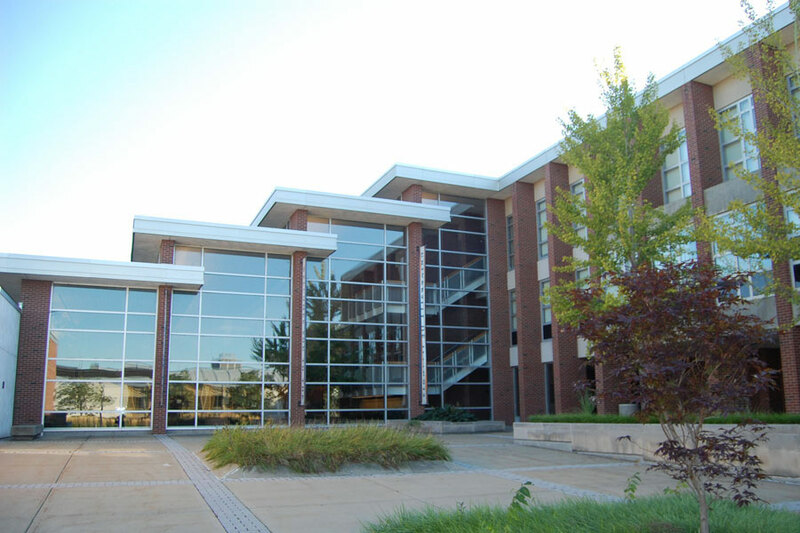 I've been to several different law campuses and I like the compact, cozy vibe of the UIUC law building. The proximity and connections UIUC has to Chicago really tipped the scales for me, as I got several large scholarships from rank 20-40 schools but nearly all located where I don't want to end up in the long term. Hope to see you guys in the fall! PS: Where are people trying to live/going to live? DaOneandOnly wrote: Attended the ASD and visited Chicago prior to which in tandem has led me to just about pull the trigger on UIUC. The atmosphere of UIUC and Downtown was pretty much what I was hoping for. Tried several of the restaurants and bars and enjoyed my experience. The downtown bar hop event was a nice touch, showing the stress-busting side of town. I got an apartment in Urbana about 2 miles from the law school.